The Rocky series is the typical mountain bike but with all the added value of the electric motor. A perfect blend between pedal assistance autonomy and the robustness of the Mountain Bikes. With its powerful motor and a lightweight battery, the Rocky series is capable of a riding range of up to 60 km. Its innovative frame reduces the overall weight. With our high quality components, the Rocky series makes uphill and downhill challenges like riding on flat road. With thick knobby wheels, front damping, strong aluminum frame, great for roads through forests, mountain walks, unpaved roads. Our new model of Mountain Bike is very suitable for roads and also for the streets of the city and pavement. It is very elegant, strong and comfortable. It is equipped with Central 250 W Motor and 12 mAh Battery lasting over 70 Km. Our new model of Mountain bike is ideal for roads and also for the city. it is very elegant, strong and confortable. 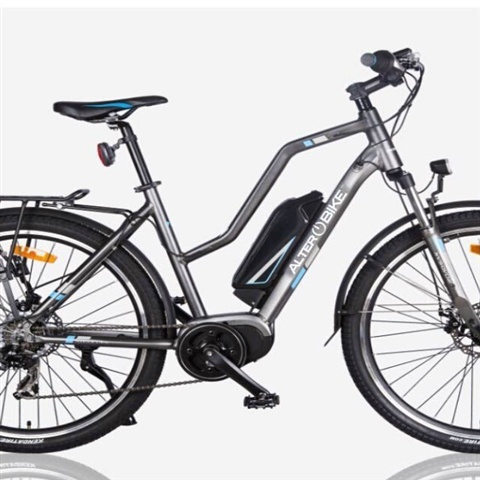 It is equipped with Central 250 W Motor and 12 Ah Battery lasting over 50 Km.